Dundas BI gives you full control over your data so it can be quickly delivered in the most actionable way. Visually explore, prepare and transform your data into stunning dashboards, multi-page reports and visual data analytics – all to your exact specifications. With immense built-in functionality, agile data flows adapted to the user’s skills and fully open APIs, you no longer need to depend on multiple tools or compromise when it comes to your BI and analytics. With our Smart Design Experience and a wide range of visualizations and layout options to choose from, you can create pixel-perfect dashboards to help you gain valuable insight and drive faster decision making. Dundas BI comes complete with highly-customizable visualizations including interactive charts, gauges, maps, scorecards and more. Plus, we give you granular control over almost all visual design elements. Our customizable and powerful data visualizations are famous in the industry, and represent over 25 years of technology leadership and innovation. You will be amazed by the power and flexibility of our data visualizations. Your visual experience doesn’t end with dashboards. 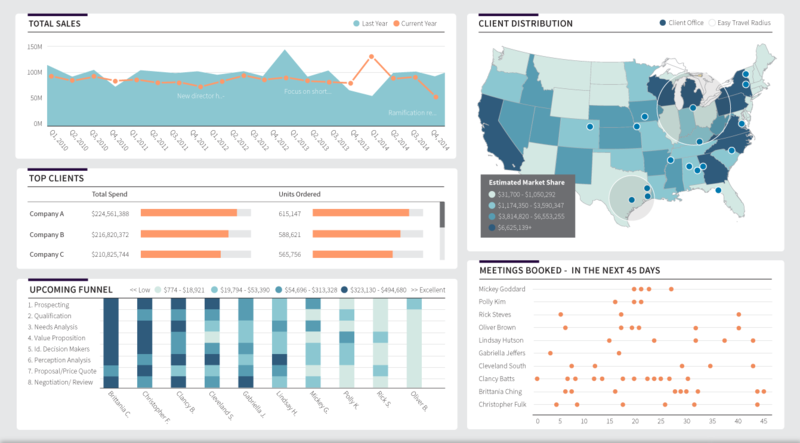 Dundas BI allows you to take the same beautiful visualizations you associate with dashboards, and simply align them to your enterprise reporting needs in a dedicated reports designer. 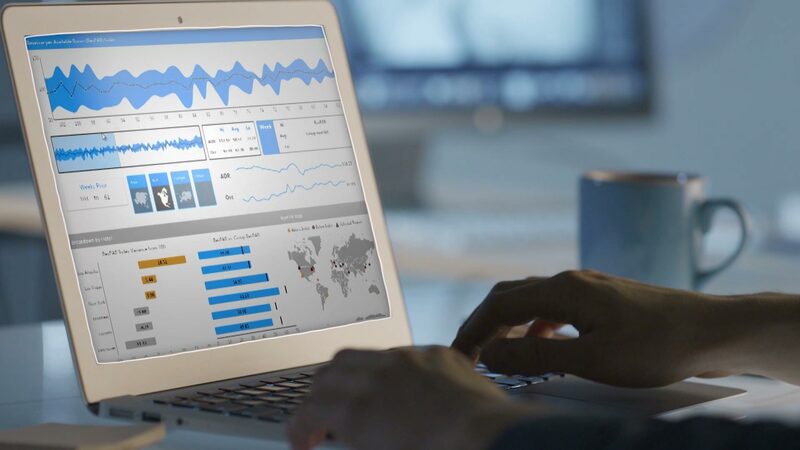 Whether you’re creating multi-page reports or ad-hoc reports, our BI and dashboard reporting tool is flexible and interactive to allow for the creation of complex views in a simplified manner. Dundas BI’s tailored self-service business intelligence approach empowers business users with a fully governed experience that allows them to personalize their reports and create relevant and actionable content that is easy to consume. Analysts are empowered to delve further into the product and perform on-the-fly or in-memory data analysis via powerful visualizations and our one-of-a-kind analytical engine. Gain the ability to run ad-hoc queries, perform visual data analytics and quickly create your dashboards and reports, all in your personal sandbox and with minimal assistance from IT. 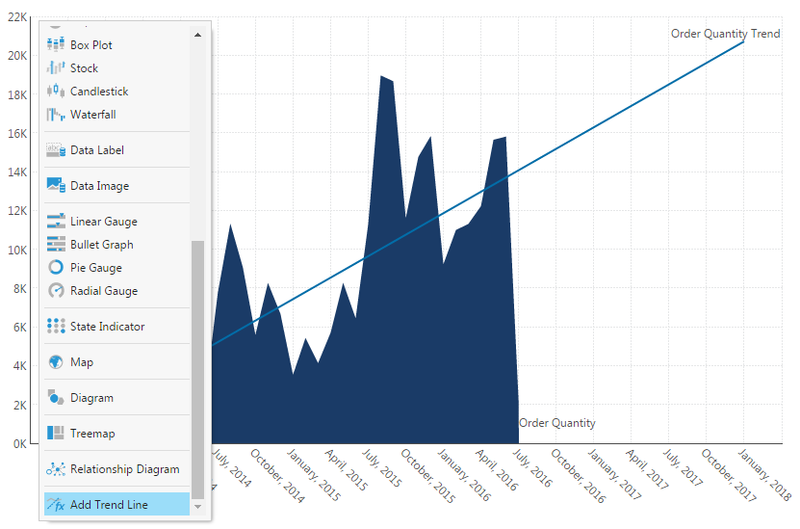 Quickly analyze your data in a meaningful way. Explore available data and incorporate your own data files via intuitive drag-and-drop functionality. Utilize menu interactions to drill-down/up, filter, zoom in/out, re-visualize and more. Smart defaults and automatic data preparation are used throughout Dundas BI to provide users with a rapid workflow. 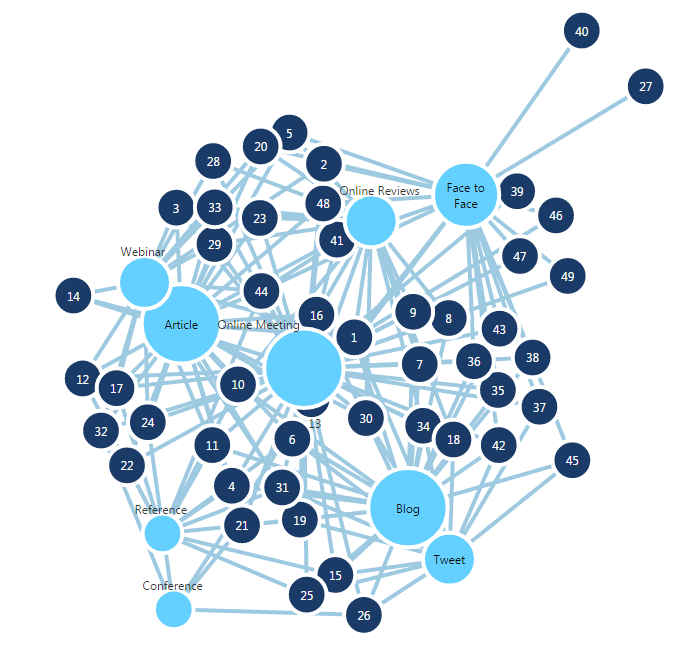 This means fewer steps from data to visualization, which means faster, deeper insights. Dundas BI’s various data tools allow you to dig deeper into your data and add context via one-click setup of period-over-period comparisons, conditional formatting and a wide range of statistical formulas. This can all be done directly on your visualizations so you can instantly see the results. 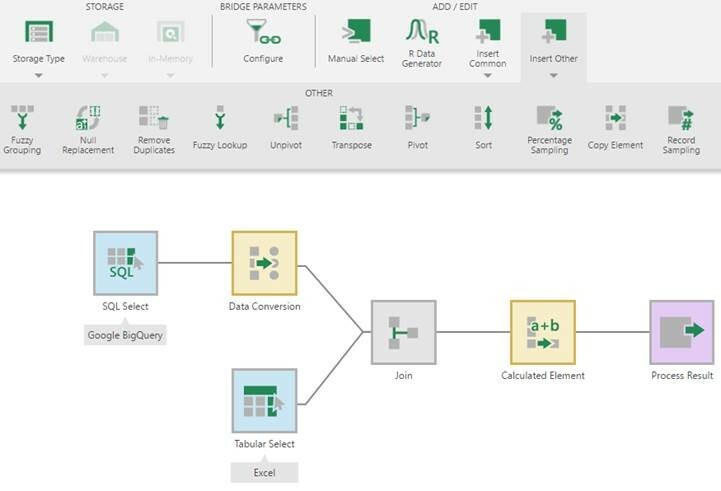 Using an intuitive exploration designer, a data discovery process can be easily shared with other users or turned into a full view using ‘PowerPoint-like’ design options to arrange dashboard, reporting or scorecard views of your data. Dundas BI’s rich end-to-end business intelligence capabilities eliminate the need to have multiple tools to prepare, analyze and visualize data. Dundas BI’s agile data flow allows different types of users to start their data journey according to their preferences. Whether you are an analyst or business intelligence professional, you can immediately start your visual data exploration or preparation of a dedicated dataset for specific dashboards. Here’s the kicker; no matter how you want to work, any content created from any user, can be re-used and shared across the entire organization. Beyond our broad capabilities, Dundas BI offers the most flexible and customizable business intelligence software for data visualization. Using modern HTML5 and fully open APIs, Dundas BI allows you to customize, enhance, and meet any design requirements your users desire. This is part of what powers our fast self-service and allows it to be integrated and embedded into other applications. View. Create. Interact – Anywhere. Any Device. Dundas BI is based on responsive HTML5 web technology, which lets you connect, interact and analyze your data on any device. You get the flexibility to stay connected to your business intelligence from wherever you are. The HTML5 interface allows you to deploy on all mobile platforms, without having to develop and maintain a dedicated solution for each, and without depending on a desktop application to analyze your data. In addition to offering a fully immersive experience, by incorporating an adaptive user experience, Dundas BI automatically exposes the options that are relevant to you, regardless of you being an analyst, business intelligence professional, or business user. "Striking the balance between functionality and ease-of-use, Dundas BI is accessible while remaining robust, which is unusual for this type of software." "The only limit in Dundas BI is the limit you place on yourself. There really isn’t anything that can’t be created in this awesome software visualization package"
"They have basically incorporated SSRS, SSIS and SSAS in a nice neat package"
"Truly flexible, dynamic, and easy to use visualisation product"
"Dundas is a pixel perfect business analysis tool." "The flexibility and customization features of this tool allow us to have professional looking dashboards up and running in a fraction of the time they could be built in other systems." "The dashboard features are almost limitless and the support team is outstanding. "Dundas BI’s HTML5 architecture allows virtually limitless flexibility and customization in creating BI visualizations – backed by a company with a proven track record in the industry and world class support."